Reasons for female infertility are a little more complicated than male problems. There are named medical conditions that can reduce a woman’s likelihood of getting pregnant. There are other, more rare problems, but the ones that are commonly diagnosed, include Pelvic Inflammatory Disease, Polycycstic Ovarian Syndrome, and Endometriosis. 1. Pressure on nerves in the lower spine (near the low back and inside the hips) affects the tone (tension) in the muscles of the pelvis. The automatic part of the nervous system (the autonomic system) which controls muscles inside the fallopian tubes, stop working properly. (The fallopian tubes “catch” the eggs that leave the ovaries, and push them down to the uterus). Do you know a couple in who is looking for help with infertility near Auburn Hills, MI? 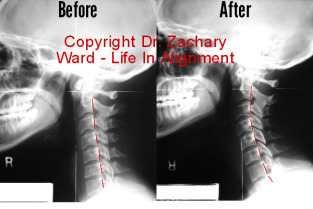 Tell them about upper cervical chiropractic care.